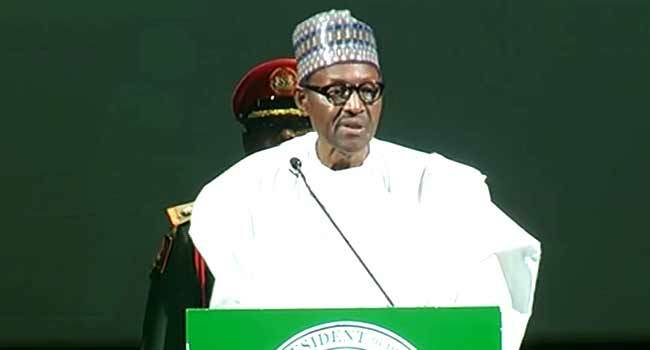 President Muhammadu Buhari has granted financial autonomy to state judiciaries and Houses of Assembly. The President also signed a total of four bills into law as part of the amendments of the 1999 Constitution. One of the bills which is now an Act, gives the Independent National Electoral Commission (INEC), sufficient time to conduct bye-elections, increasing the time from seven to 21 days, which widens the scope of INEC to handle election matters upon a vacancy. The Presidential Liaison Officer To The National Assembly, Senator Ita Enang told journalists in Abuja on Friday that another bill No 16 which is now an Act, is to ensure that where a Vice President succeeds the president and where a deputy governor succeeds a governor, he can no more contest for that office more than once after the initial tenure. The fourth Act which became a law today is constitution number 21 relating to the determination of pre-election matters, reducing the date and time of determining pre-election matters to ensure that the matters extend into the time for elections neither does it pend thereafter. These four bills in addition to the recently signed “Not Too Young To Run Bill” into law brings the total number of bills assented to by the president, to five.